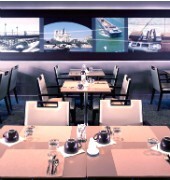 Mercure Paris Ivry Quai de Seine is a four-star hotel located on the banks of the important commercial waterway and long river â€“ Sienne. This property is within walking distance to the Ivry-sur-Seine train terminal and just near to the bus stops as well as metro stations, providing an easy access for business travelers. Each room comes with Wi-Fi connection, air conditioning, satellite/cable TV, work desk, mini bar and private bathroom. Guests can step in to savor the taste of French gourmet cuisine served at the on-site restaurant or have a plate of light snacks and a glass of drinks from the carefully selected wine list at the bar. This hotel also offers a 24-hour front desk, laundry/dry cleaning, private undercover parking and 10 meeting rooms equipped with modern audio visual facilities ideal for seminars, conference and other events. 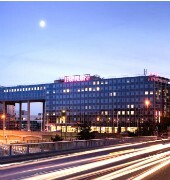 The MERCURE PARIS IVRY QUAI DE SEINE is a Tourist hotel. Located in IVRY SUR SEINE area. Shopping is accessible by bus/taxi and the nightlife/restaurants are located in the hotel. Descriptionclass="small" style="text-align: justify; font-size:11px;">Mercure Paris Ivry Quai de Seine is a four-star hotel located on the banks of the important commercial waterway and long river â€“ Sienne. This property is within walking distance to the Ivry-sur-Seine train terminal and just near to the bus stops as well as metro stations, providing an easy access for business travelers. Each room comes with Wi-Fi connection, air conditioning, satellite/cable TV, work desk, mini bar and private bathroom. Guests can step in to savor the taste of French gourmet cuisine served at the on-site restaurant or have a plate of light snacks and a glass of drinks from the carefully selected wine list at the bar. 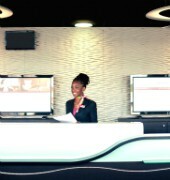 This hotel also offers a 24-hour front desk, laundry/dry cleaning, private undercover parking and 10 meeting rooms equipped with modern audio visual facilities ideal for seminars, conference and other events. The main reason I did book the Mercure was because it had free parking, in fact it has a huge parking garage linked directly to the hotel. The location is not central but it is a good place if you want a base to stay at whilst visiting Paris if you also have to find a place for your car. The rooms are of a good size and look like they have been recently refurbished, some of the furniture is a bit dated but for the price this is to be expected. Having some of the reports I was fairly concerned that it might not be a good hotel, but in fact I was pleasantly surprised and I would certainly stay again. I am pleased to read that you enjoyed your stay. Indeed, the parking is free for all our guests. 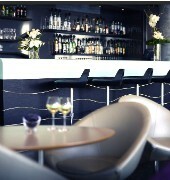 And our location is convenient to visit the Paris without spending hours looking for a parking. Stayed here for one night midweek on business trip. Listen it does what it says on the tin, but just the bare minimum that will stelve off harsher criticism. Functional, but as I said , average. Not good, not bad. Merci pour votre commentaire sur ce site. Nous sommes trÃ¨s dÃ©cus ne pas avoir su vous satisfaire pleinement et espÃ©ro,s que vous nous donnerez une nouvelle chance de vous sÃ©duire. Dans cette attente, nous vous souhaitons de Joyeuses FÃªtes de fin d'annÃ©e. Nous vous remercions pour ce commentaire que nous transmettons Ã toute l'Ã©quipe. Dans l'espoir de vous recevoir Ã nouveau, nous vous adressons nos plus cordiales salutations. I stayed at this hotel for 2 nights as part of a tour. It is not central to the sights of Paris but is only a metro ride away. The hotel was clean and modern. Service was not great. The breakfast was adequate. Nous vous remercions de votre commentaire et vous assurons de nos efforts afin de vous satisfaire pleinement. EspÃ©rant vous revoir Ã nouveau, acceptez nos plus sincÃ¨res salutations. Very easy access to Paris on the train in the morning and nice location. 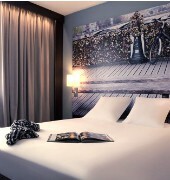 Rooms were soundproof ensuring a good nights sleep. Breakfast standard and continental, handy to have before a day out in the city. Nous vous remercions de ce commentaire sur notre hÃ´tel. Toute l'Ã©quipe se joint Ã moi pour vous assure de son meilleur accueil lors d'un prochain sÃ©jour.